More than 1,000 miles from Los Angeles. 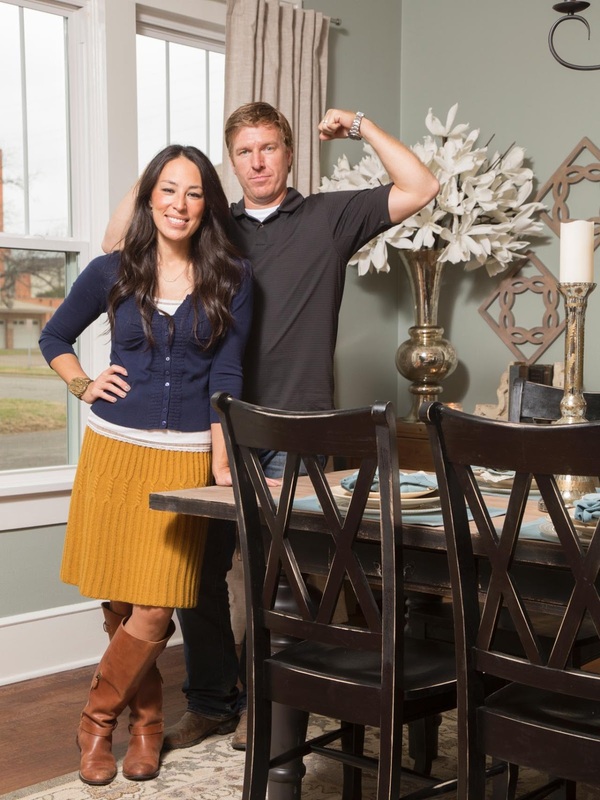 It's almost as if I've been living under a rock, apparently, but I finally discovered the incredible phenomenon that is "Fixer Upper" earlier this year. And I've been hooked ever since. I have Pinterest to thank, actually. 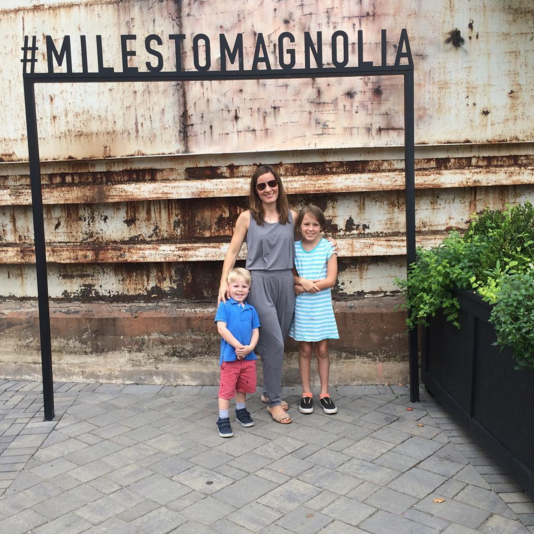 It all started when the ultimate vision board/social-media site recommended a photo of something called a "Barndominium," which turned out to be a renovated Texas barn given new life by the uber-talented construction-design duo Chip and Joanna Gaines. I quickly binge-watched the first two seasons of "Fixer Upper" on Netflix and then bought the third season on iTunes. Who was this charming, down-to-earth couple from Waco, Texas, with the hilarious husband, super-stylish wife and adorable kids? And those goats?! They kind of had me at the baby goats. So when it came time to make our annual summer visit to Oklahoma, I decided to fly into Dallas, as I had done earlier this year when my mom passed away. 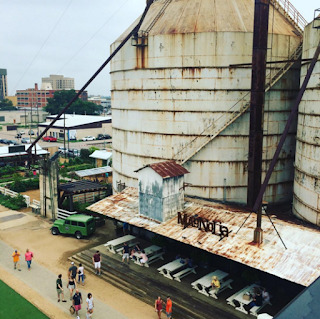 Not only could I visit my BFF Barbara, I could also drive down to Waco and visit the Silos, aka Magnolia Market, the downtown Waco oasis that is the creative brainchild of my new TV BFFs, Chip and Jo. Once we arrived, I have to admit I was stunned. What Chip and Jo (yes, I call them that even though we've never met) have built in this smallish Texas town is gorgeous and homey, aspirational and huge. It's simply stunning — a field of dreams come true before your very eyes. That sounds like a lot of embellishment, but honestly it's not. Watching this adorable married couple renovate home after home while still trying to grow their dreams — and to see that come to fruition — it's pretty amazing. There's a large green space that faces stage area (pictured above with the white tables) that is so inviting. There are swings and baskets of balls and frisbees for the kids. You might hear Harry Connick Jr. or Michael Buble on the overhead speakers. CC and Will could have stayed there for hours. And we practically did. But that was after we took a very special tour, shopped and indulged in a couple of decadent Magnolia cupcakes. We even got the chance to check out Chip's office — and his oversized heads! Trying these guys on for size! Speaking of shopping, there is a lot of stuff to buy — I snagged this gorgeous bracelet + of course a #shiplap T-shirt — and there are a lot of people who want to buy it. Basically, it was packed. We learned that there are, on average, about 25,000 visitors to the silos each week. Week! Sometimes that number climbs to 30,000. And they're from all over the world. More cupcakes, please. Do you see that icing?! Watching "Fixer Upper," which is about to kick off its fourth season, you feel as if you're growing alongside Chip and Jo, watching them take risks and succeed at every turn. It's truly inspiring. Not only have they built this amazing downtown attraction — making Waco a destination city to people around the globe — they also have a book and a magazine coming out this fall. (Of course, I've already pre-ordered. Don't be ridiculous.) You also might know that Joanna now has a furniture line, rugs, a paint line and a wallpaper line. So, as I not-so-patiently await season four, the book and the magazine, I really revel in our trip down to Waco — and hope to go again. Because there's nothing like seeing a dream come true that makes you want to fulfill your own even faster.